Sorocaba에 위치한 Transamerica Executive The First은 소로카바 및 그 주변을 둘러보기에 완벽한 곳에 위치 합니다. 이곳에서 생생한 도시의 모든것을 쉽게 즐기실 수 있습니다. 편한 위치와 함께, 호텔은 도심의 필수 관광지에 손쉽게 접근할 수 있는 곳에 있습니다. 모든 숙박시설에는 생활 편의시설이 마련되어 있어 더할나위 없이 편하게 보내실 수 있습니다. 실내 수영장 등을 포함하여 여가시설이 잘 구비되어 있는 호텔은 일상 탈출하여 편안한 휴식을 즐길 수 있게 꾸며져 있는 곳 입니다. 이상적인 위치와 시설이 잘 어우러진 Transamerica Executive The First 숙박시설은 다양한 옵션을 마주 할 수 있는 곳입니다. 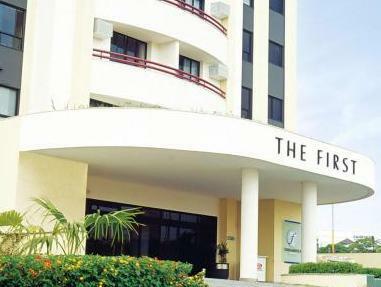 the hotel has a good location, in front of a big shopping center of the developping city of sorrocaba. it combines the features of a confortable residencial and commercial location. the rooms are of a good shape. service is sutable and good.room prices are also moderate taking into account the type of service and location. possuir microondas e frigobar; internet free. hotel agradável, bem localizado, limpo, boas instalações. bom atendimento. Tudo de boa qualidade, exceto pelo acesso à Internet que deixou bastante a desejar, e no meu caso, era uma necessidade.